PURCHASE, NY – June 13, 2018 – International travel continues to grow at an incredible rate, transforming local economies and enabling people to broaden their horizons—whether they travel for work or for play. 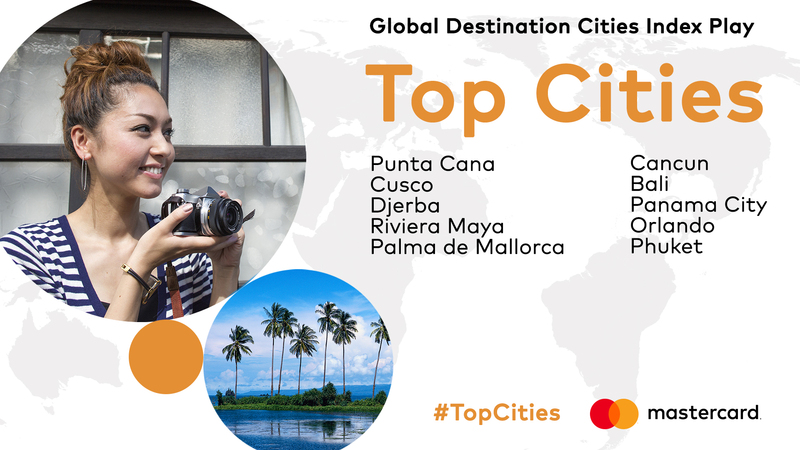 Building on nearly a decade of insight into international travel trends, Mastercard today released Global Destination Cities Index: Play, a look at the international destinations with the highest concentration of visitors traveling for relaxation and leisure, not business. Mastercard is focused on helping cardholders travel the world with peace of mind through seamless planning, conveniences and connectivity at their destination and worry-free acceptance at millions of locations around the globe. Compelling travel offerings and benefits help travelers every step of their journey. More information can be found at mastercard.com. Additional insights from the 2018 Mastercard Global Destination Cities Index will be rele ased later this year. The Mastercard Global Destination Cities Index ranks cities in terms of the number of their total international overnight visitor arrivals and the cross-border spending by these same visitors in the destination cities, and gives visitor and passenger growth forecasts. Global Destination Cities Index: Play specifically looks at the cities that have the highest concentration of visitors traveling there for non-business purposes according to the International Visitor Survey results from National Tourism Boards.